I’m a huge fan of the film Trainspotting. I’ve seen the somewhat demented but brilliant film several times and I look forward to seeing the sequel. Thomas S. Hobbs at National Review Online offers a review of the new film. 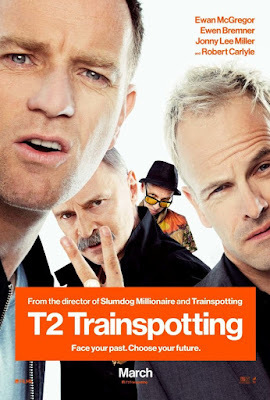 As with all the major characters in the Trainspotting universe, Renton’s experience is framed by the emptiness of time in a world where meaning has been reduced to arbitrary consumer choice, a world in which, as Renton boldly proclaimed in his famous “choose life” speech in the original, it makes as much sense to be on heroin as not to. Although it has been 20 years since the original, the characters, dialogue, and action feel fresh and smart. With another terrific soundtrack, and using the same source material (an Irvine Welsh novel), writer John Hodge and director Danny Boyle have achieved the rare feat of creating a film that satisfies the sequel viewer’s desire for both nostalgia and novelty.